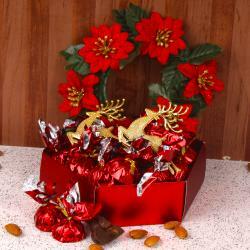 Product Consist : Special Santa Claus Shape Homemade Chocolate Bar with Christmas Tree Shape Homemade Chocolate Bar along with Star Shape Wreath and Floral Candle. 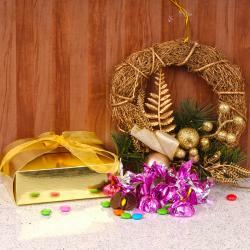 Christmas is season of gifting so go for best gift selection. 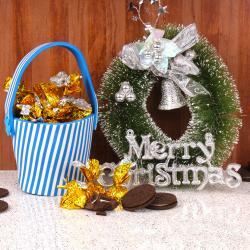 Giftacrossindia comes with exclusive christmas gifts, this hamper is one of the example of our gift product. 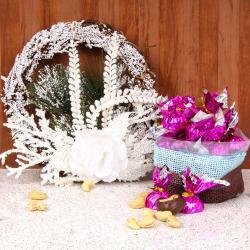 This christmas gift hampers come with a Christmas special theme homemade chocolates in santaclaus shape and christmas tree shape a unique wreath in start shape made out of cherry and rosette with greens to decor your door and entrance. This hamper also includes delightful gift of christmas special floral shaped wax candle beautifully arranged in a pottery container. So, hurry up and book your order now and make sure your christmas gift reach on time. 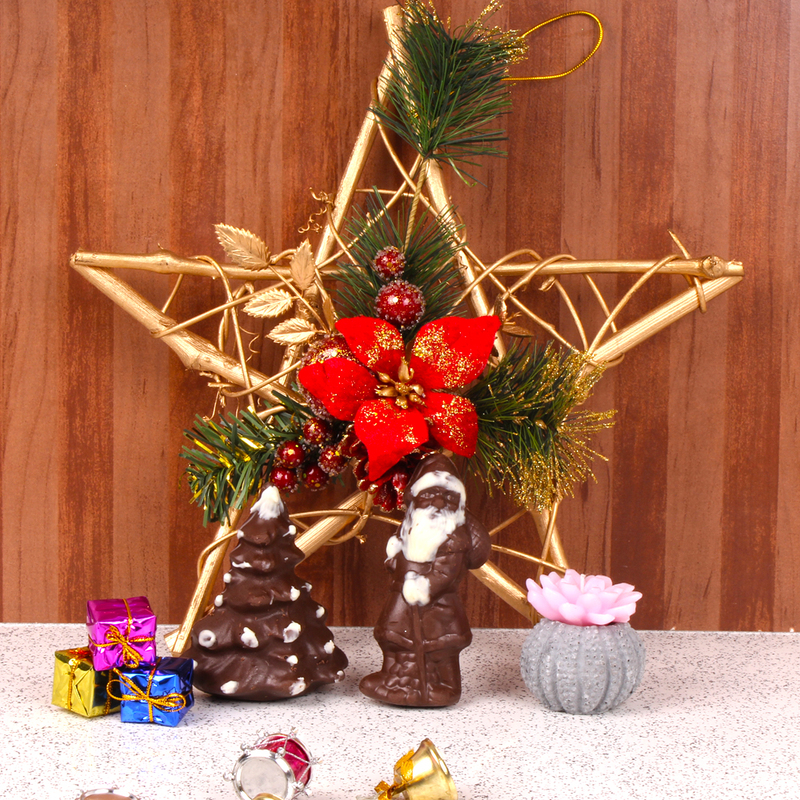 Product Consist : Special Santa Claus Shape Homemade Chocolate Bar with Christmas Tree Shape Homemade Chocolate Bar along with Star Shape Wreath and Floral Candle.